I had head about this book once on a podcast and added it to my list a few years ago. After I heard Amazon bought Whole Foods a few months ago I decided it was time to read this book. 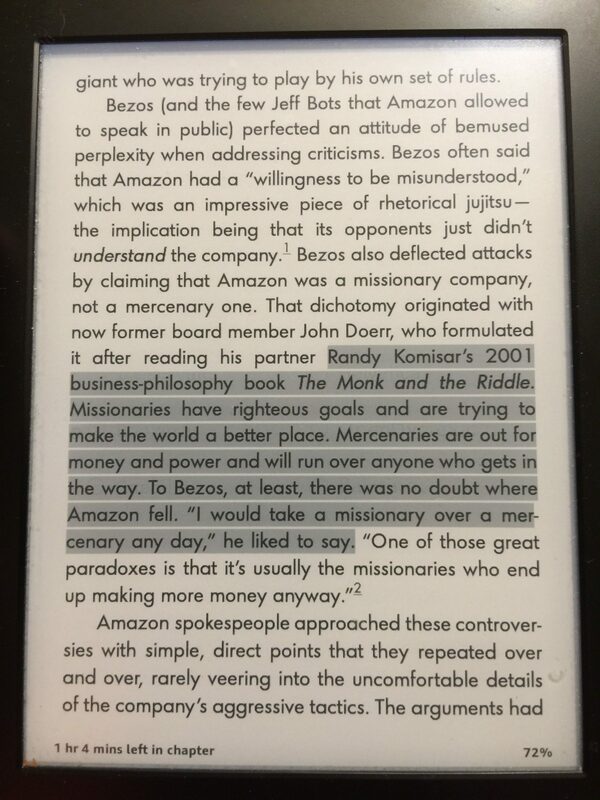 The book is fantastic and really goes deep into the culture and the mind of Jeff Bezos. Besides being one of the most richest persons on the world, it should a side of a driven person who never gives up on making his company the biggest ever. Below are a few highlights of quotes from the book. 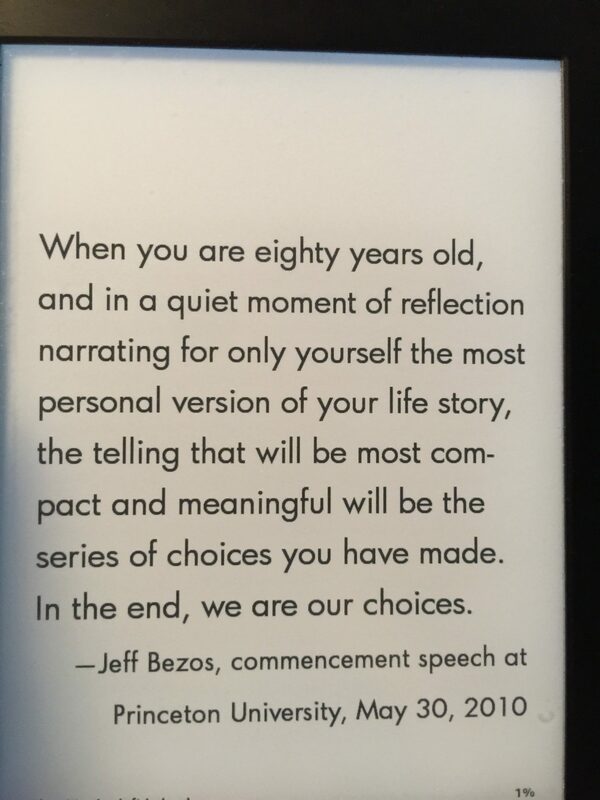 The above quote I think sums up the drive Bezos has and what he wants to be known for. As he says, “we are our choices” and how we make the little decisions and what guides us to do those shape us in ways we will continue to make the next choices. 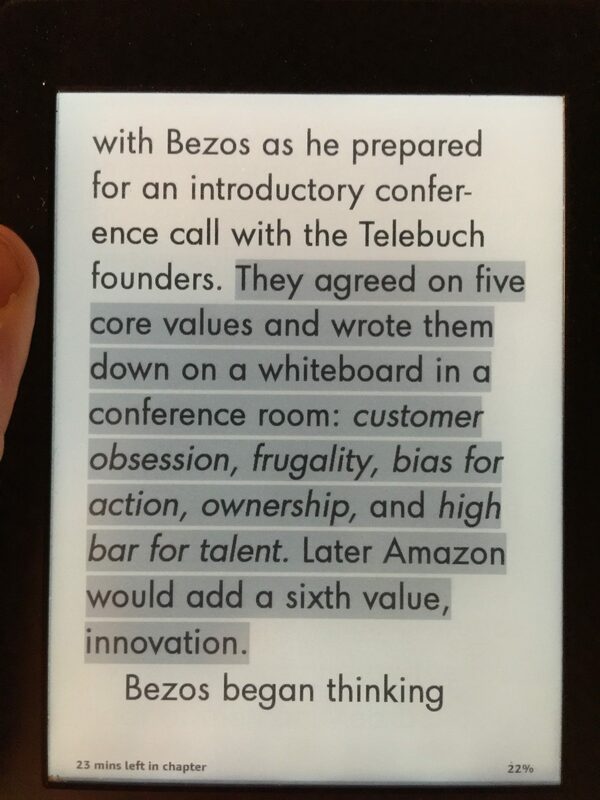 I liked the way Bezos came up with the values of the company. I really like the bias for action that I take as don’t sit on the stands, make the action even if it is wrong it is better then sitting on the sidelines. Another good quote about “take a missionary over a mercenary”. I see this choice in many aspects of business. 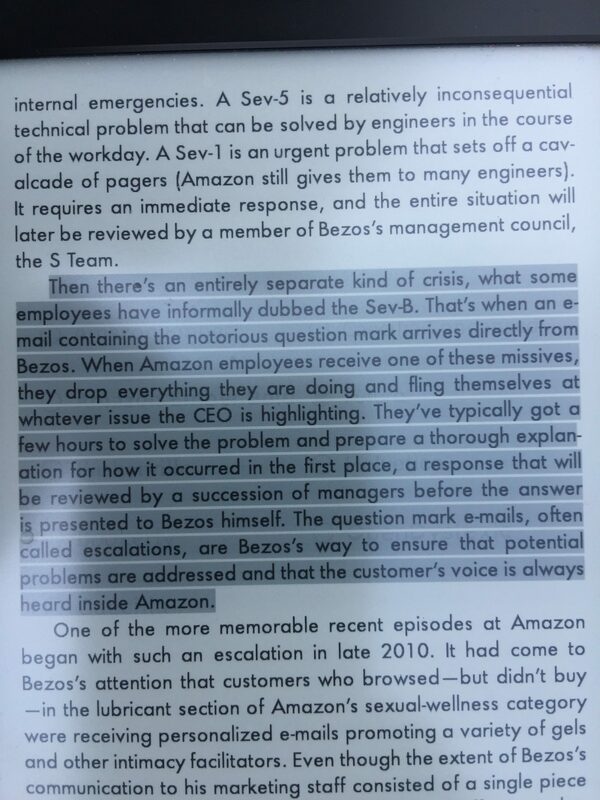 This was interesting on getting into Bezos’s idea of corporate culture and where he wanted Amazon to be. 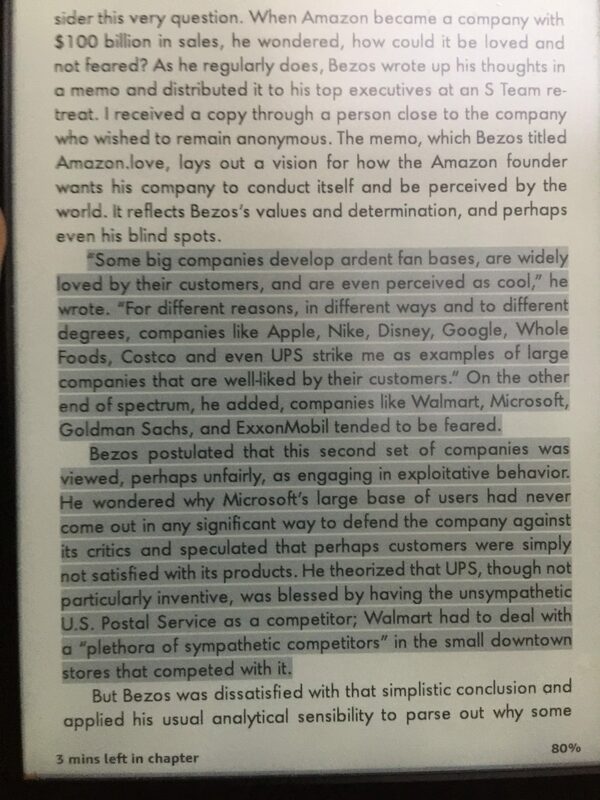 He was obsessed with Amazon’s perception in people’s minds and did not want to be considered not an innovator. 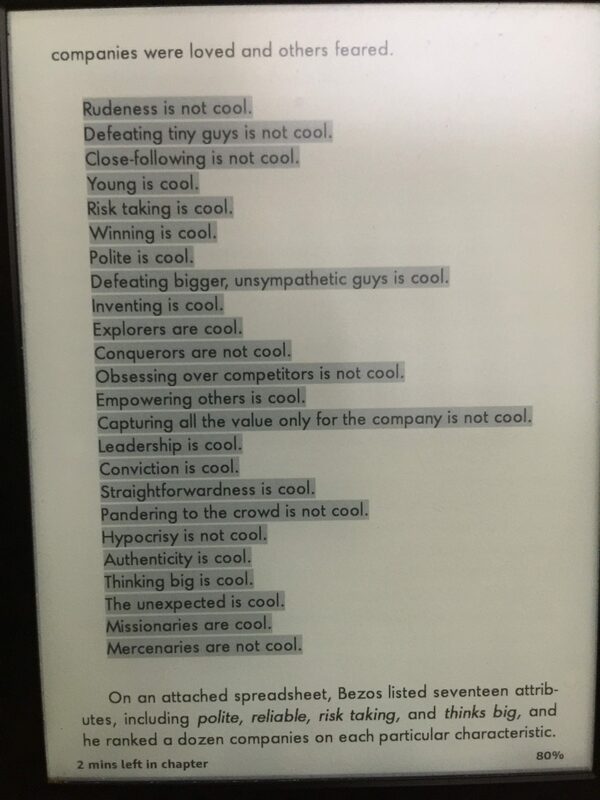 More on his list of why companies are loved or feared. So true. This story about the “Sev-B” I thought was very interesting. 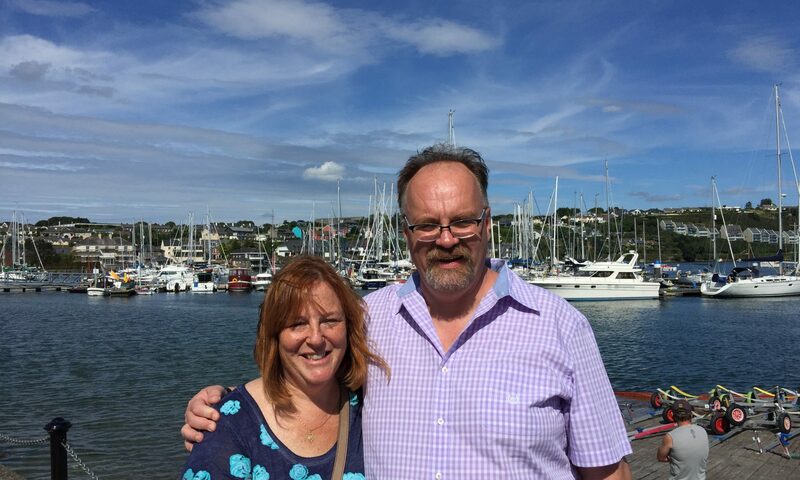 Jeff wants to be as close to the customer as possible and the dreaded “? ?” email is meant to have the entire company response like the house is on fire. Below the highlights discusses one such issue of the “lubricant” email that continues in the next highlight. This is classic Bezos style – talk about the elephant in the room and make sure everyone holds no punches on how the boss feels about it. This issue was only one customer response but he knows if one person went through the trouble of sending an email many many more are aware of it and just stop using amazon. 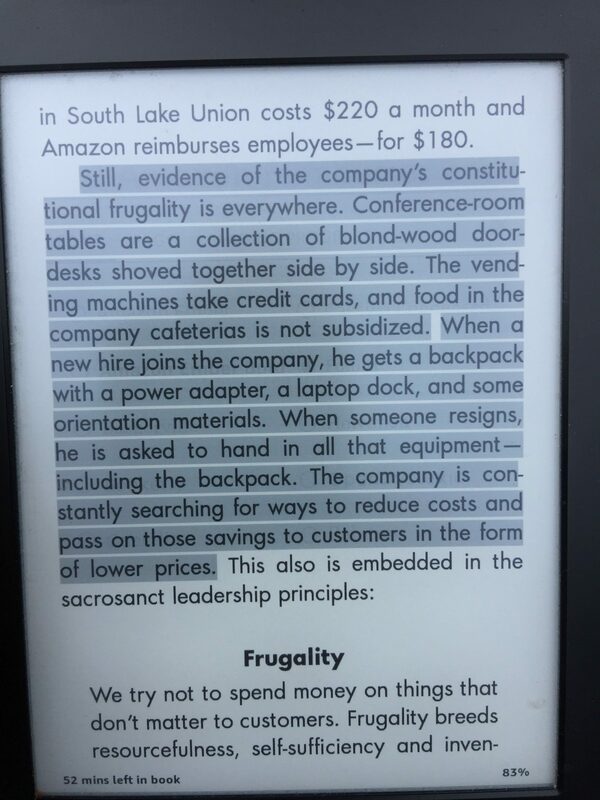 This last one is about the frugality part of the core values of Amazon. For the company to ask for the backpacks back if someone leaves, I think that shows how they are some “scary” big company like Jeff outlined above. I thoroughly enjoyed reading this book and would recommend it to everyone! 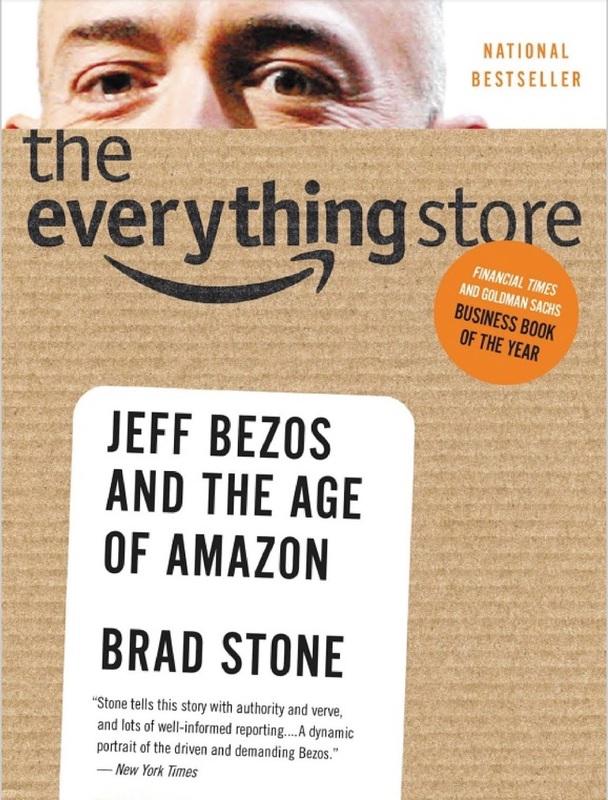 It is well written and also shows a detailed look on how Amazon became Amazon.